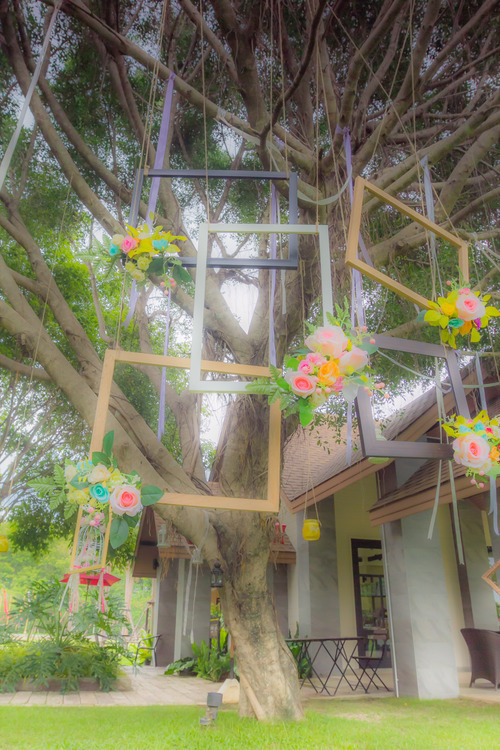 Sitting under a pretty tree at Boon Rawd Farm Cafe, the branches adorned with white ribbons and picture frames, I smell the frothy cappuccino next to me as light jazz music is piped into the air. As Chiang Rai cafes go, this one is great for two reasons. One it is the nearest proper café to our house without having to go into town and two, they create one of the best brownies we have tasted out here in Thailand. Seeing as we have tasted a LOT of brownies, this is saying a great deal! 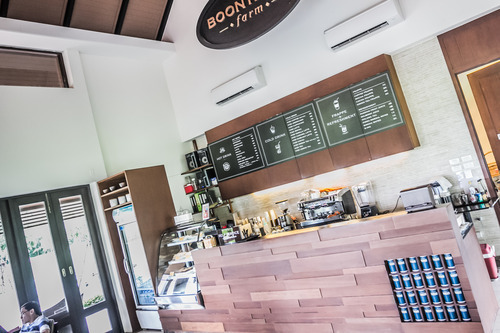 Boon Rawd Café serves an excellent cappuccino and latte as well as other hot and cold drinks. 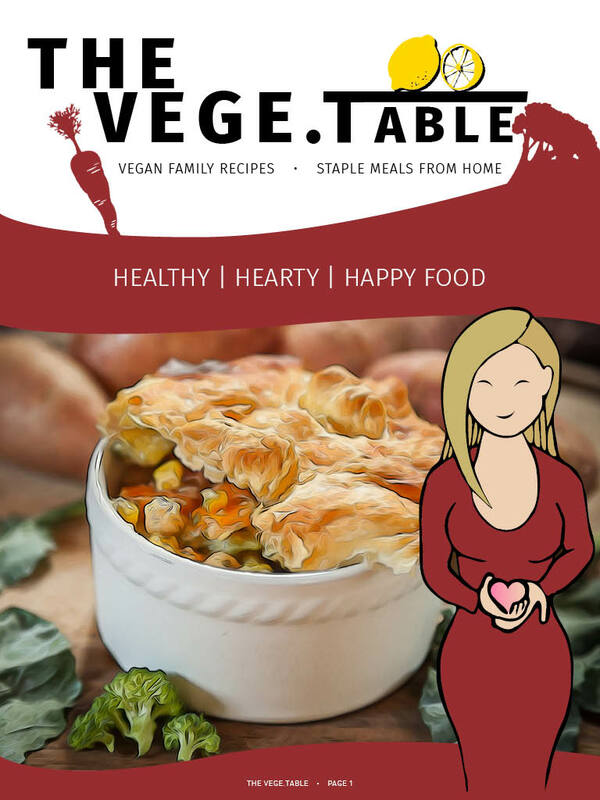 They also have a cake fridge which is normally filled with the aforementioned Brownie as well as a rustic looking apple pie and blueberry cheesecake. Be warned though, this place can get rather popular at the weekends, and we have turned up here on more than one occasion to be met with an already empty fridge. 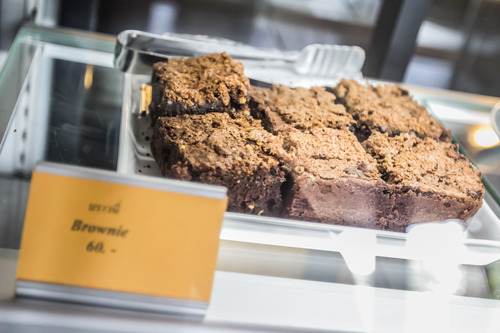 If you are lucky enough to nab yourself one of these brownies, you are in for a treat! 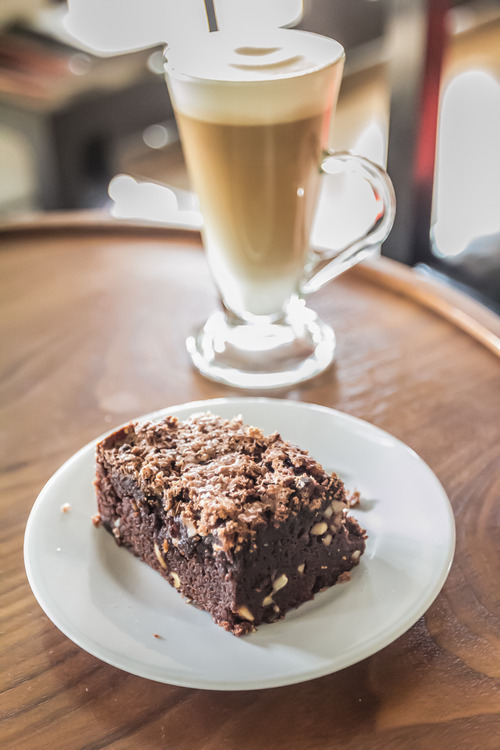 The slices are large, with a crispy topping and a layer of chunky hazelnuts running though out the block of chocolate-y heaven, they really are very tasty, if you like nutty chocolate brownies of course. The air conditioned interior of the café has a couple of tables to sit at with plenty more seating outside. 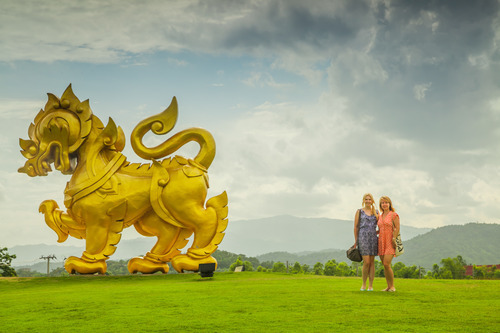 Boon Rawd Farm makes for a fantastic day out, being an affiliated company of the Singha Corporation, the farm is also known and signposted as Singha Park, you can’t miss the farm due to the large Golden Singha Lion posted at the front of the large lawns. 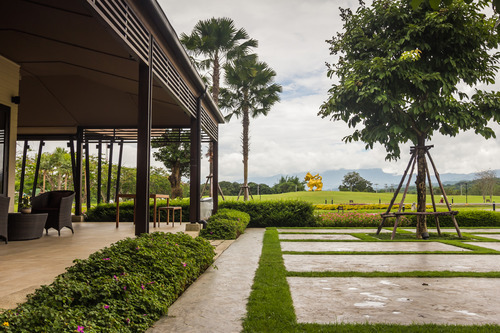 Boon Rawd is a working farm, which is actually one of the largest tea plantations in Thailand and they proudly produce over 400 tons of quality tea each year. As well as the tea plantations, it is also home to a vast area of abundant land full of lakes, flower fields and animals. There are complimentary shuttle buses that leave regularly from the front of the park at the information center to take you to all the hot spot locations. One of these locations being the giraffe zone! A herd of giraffe graze on the land and they are kept company by a large group of zebra. 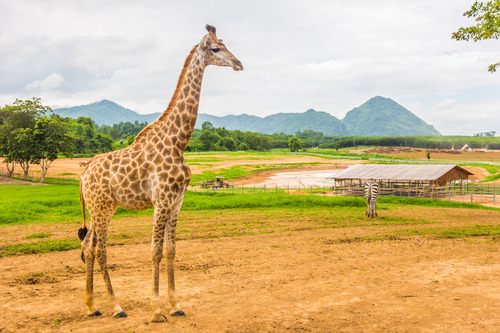 Yes, there are Giraffe in Chiang Rai! Seeing these animals, usually more at home on the African plains out here is Thailand is rather a novelty, I’m pleased to say that they all looked extremely well cared for and looked after. 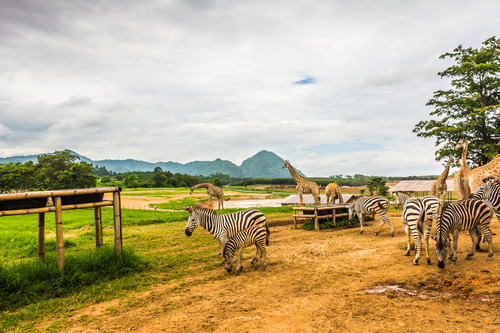 They were not kept in pens or confined to a small space like in a regular zoo, yet free to roam a large outdoor area, graze from the land and enjoy the view! It was nice to see such healthy happy looking unique animals in such an exceptional location. 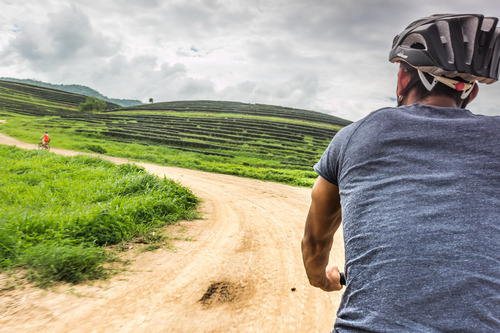 As well as using the shuttle bus to get around the park, you can also hire bicycles and ride around the grounds at your own leisure. 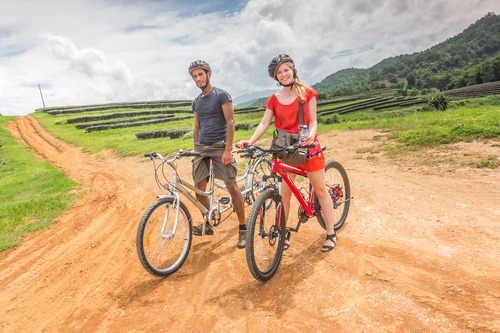 We rented two bikes, one tandem for me and Jmayel and a normal bike for Gill, we took the bikes for an hour, which was enough time for us to cycle to the giraffes and then through some of the tea plantation before returning them. It cost 100 baht per bike for the hour. From the back seat of the tandem! 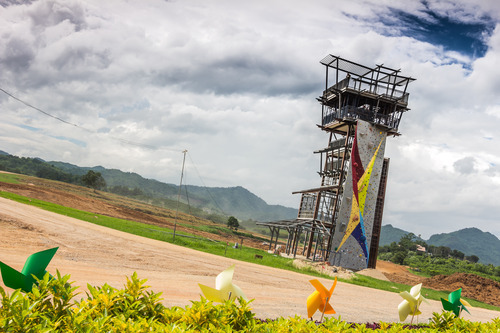 Singha Park is currently being redeveloped, when we visited they were in the process of installing a climbing wall with a zip line going across one of the lakes. When it is completed it will be a great draw for visitors and make this already popular park, even more so. 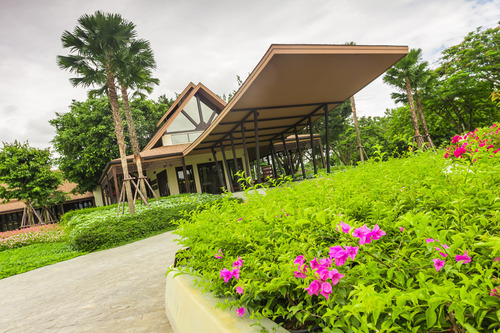 Boon Rawd Farm/Singha Park is a great place to visit, there is a restaurant on the grounds, which we have heard is excellent, though we have yet to dine there. 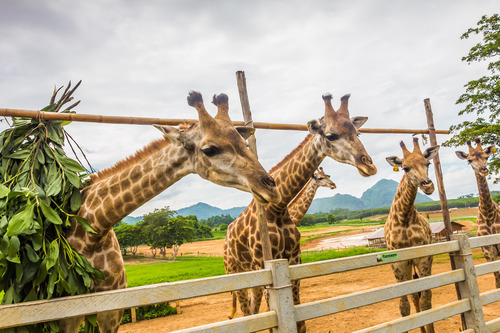 I recommend a day out at Boon Rawd, cycle by the immaculate landscaped gardens, feed the giraffes and zebra before heading to the view point by the restaurant for a stunning view over the farm and beyond. Sample the tea, browse the Boon Rawd shop for high quality gifts and products and enjoy a coffee and slice of cake in the café. When in Chiang Rai, this a good place to head for a diverse day out, it is also close to Khun Korn waterfall, one of the best in the province, again a highly recommended place to visit. 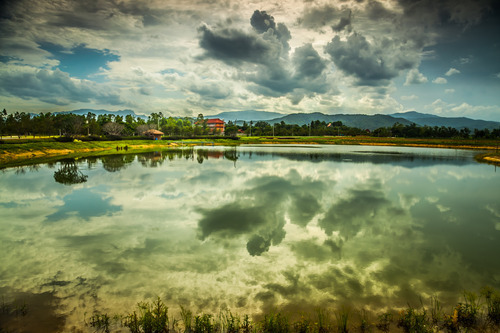 Pair the two together and you will have yourself a satisfying and fulfilled day out in Chiang Rai. 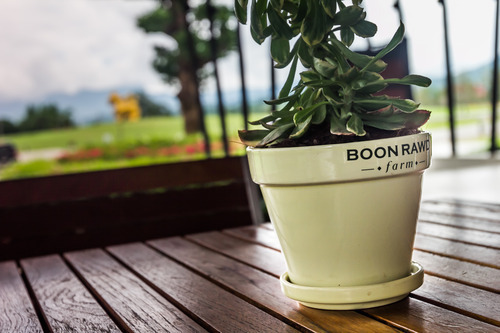 Boon Rawd Farm Café is open from 09:00 – 18:00 every day.